We provide expert roof plumbing and roof repair services to the greater Melbourne area. If you’re searching online for roof plumber Melbourne, roof guttering Melbourne, roof gutters Melbourne, gutter repairs Melbourne, Colorbond roofing Melbourne, spouting Melbourne or metal roofing Melbourne, you’ve come to the right place. Gutter R Us has been a trustworthy and reliable roof plumbing company in Melbourne since 1990, specialising in both residential and industrial sectors. Only the best Colorbond materials are used to complete each project in a timely and cost effective manner. With knowledgeable staff providing free advice and quotes, we’ll provide the perfect roofing or guttering solution for your home, office or factory. At Gutters R Us we’re committed to helping you figure out what best fits your needs and budget. Searching for Roof Plumber Melbourne? We specialise in all aspects of roof plumbing including new homes, period style homes, retail stores, commercial buildings, warehouses and industrial buildings. 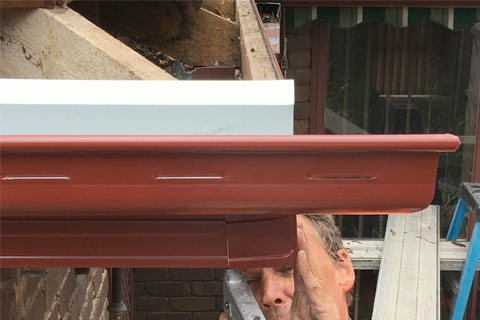 We can supply and install any Colorbond roofing in all profiles including Custom Orb (corrugated) Monoclad Speed Deck and many more, with the option of Polycarbonate Roofing for your outdoor area. 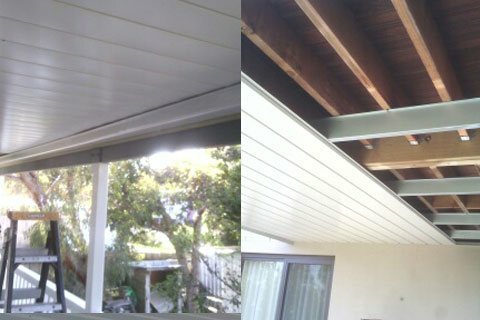 If you’re worried about roof leaks or broken tiles, then contact Gutters R Us Vic., the roof replacement and repairs specialists. Broken or damaged roof tiles can be repaired however it may be necessary to fully replace your roof. 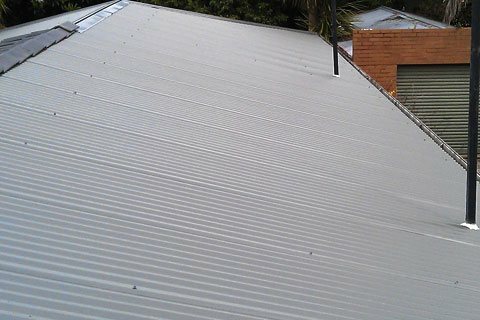 A metal, Colorbond roof replacement is often the preferred option. If you’ve ever wondered what to do with the space under your deck, consider Under Deck Roofing. This Colorbond product can turn that space into useable storage space or an outdoor room.